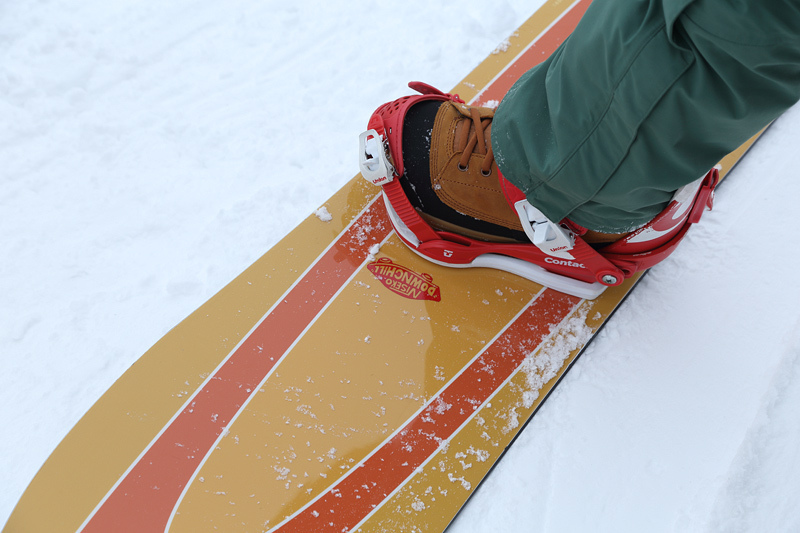 “Deli Chill (“Delivery Chill”) DOWNHILL” was being held by NISEKO DOWNHILL, which is based on Niseko in Hokkaido. Deli Chill was a free riding session by Mr. You Amami and Mr. Teppei Hirota, who are riders of DOWNCHILL. There were about 10 participants from all over Japan. The riders and participants in the event went down, leaving the beautiful first track. Many people arrived late although it was the last day of the three-day weekend. There was a weak northerly wind blowing down from the Northern Alps and it felt colder than I had expected from the temperature. “I enjoy your reports. 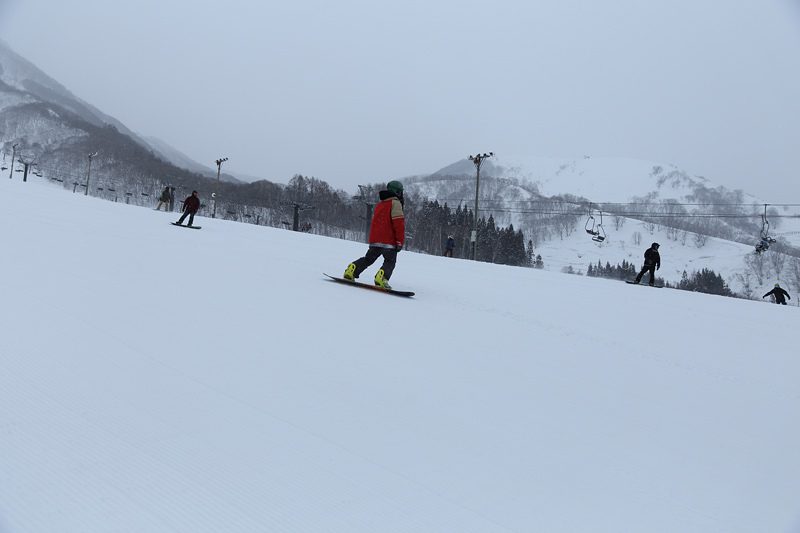 The slope is in great condition today!”, a man from Matsumoto City said. 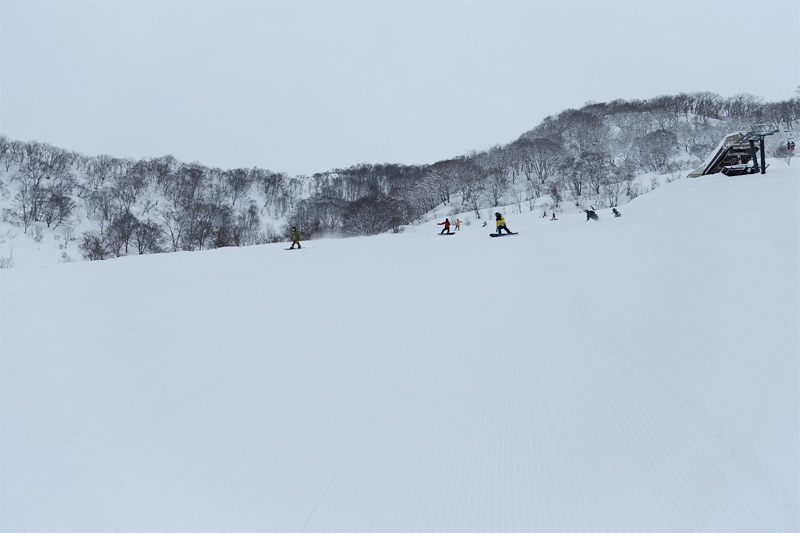 Perfect powder snow came back to the soft compacted Rabbit Course and Wakaguri Chuo Slope and I enjoyed going down on it as I liked. The non-compacted snow on the sides was soft too. 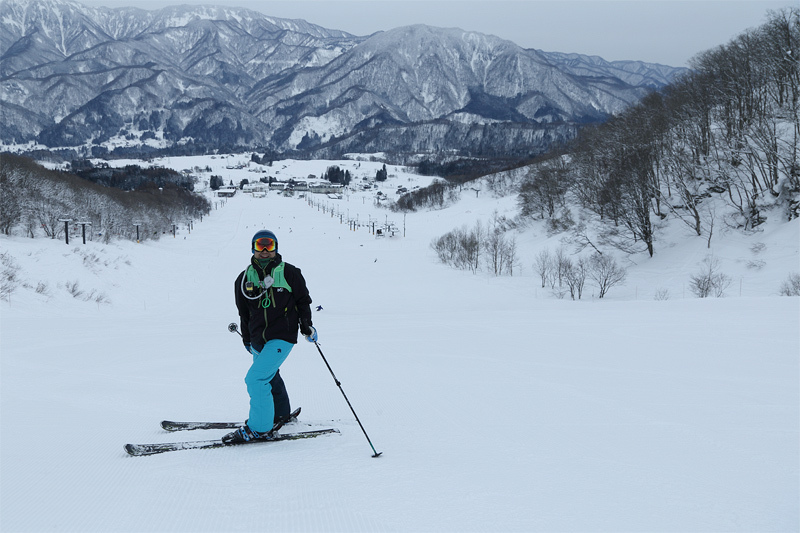 Soft powder snow was nicely compacted at Wakaguri Rinkan Course and Hakunori Family Course too! I got exited while going down. The slopes got crowded and it started snowing around 9 am.